Shop Local. Think Global. 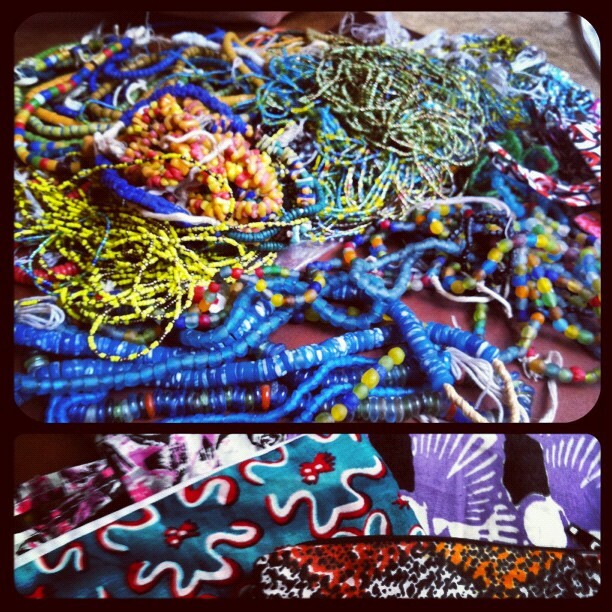 Traditional Glass Beads from Ghana. Traditional Glass Beads from Ghana. Last month, while shopping in Magix (vintage boutique of new & thrifted trends) during South Wedge-Ucation, I spotted the most brilliant blue beads, brazen against the back wall. Miniature dinner plates of zig-zagged-black, enshrined by lightening-bolt-yellow and cast against an inky blue sky, donned earring posts to mingle amongst the bead’s stentorian swag. The price tag? Barely $8. As I gushed to the sales women (both very trendy, knowledgeable, and nice) over these incredibly well priced, handmade Ghanaian beads, a moment of serendipitous sweetness poured over me. There she is, in unison, they chimed. In walked Amy Shema. Purveyor of these creations. 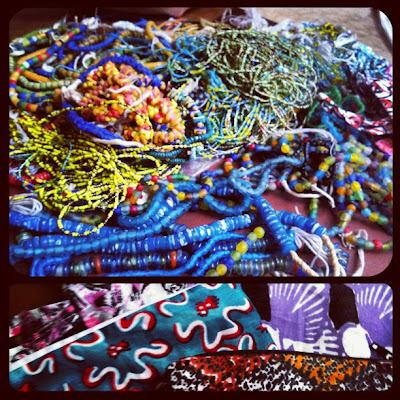 In short: They are Traditional Glass Beads made in Ghana, by-hand using traditional methods, from recycled glass. All proceeds go to fund the education of Ghanian children. Traditional Glass Bridal Beads Made in Ghana. Traditional Transparent Glass Beads Made in Ghana. 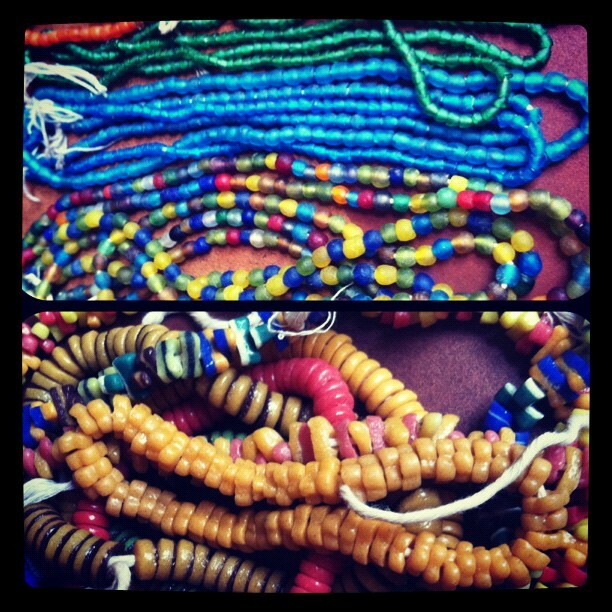 Traditional Powdered Glass Beads Made in Ghana. Notice the layers and the opaque colors. Bridal Beads: Smaller beads arranged in long strands that women wear over their hips. Not to be seen by the public. Hand Made: Broken and found glass crushed into powder and placed into clay molds. 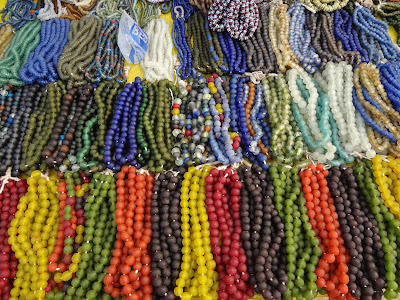 Each bead is shaped by hand, the artistry and technique passed down generationally. 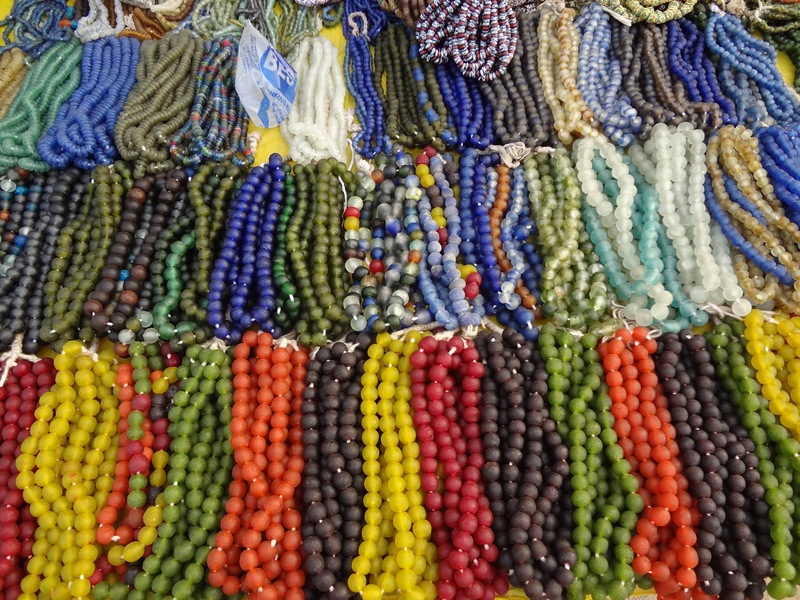 Once cooled, artisans string beads and merchants sell them at market, either raw or as jewelry. 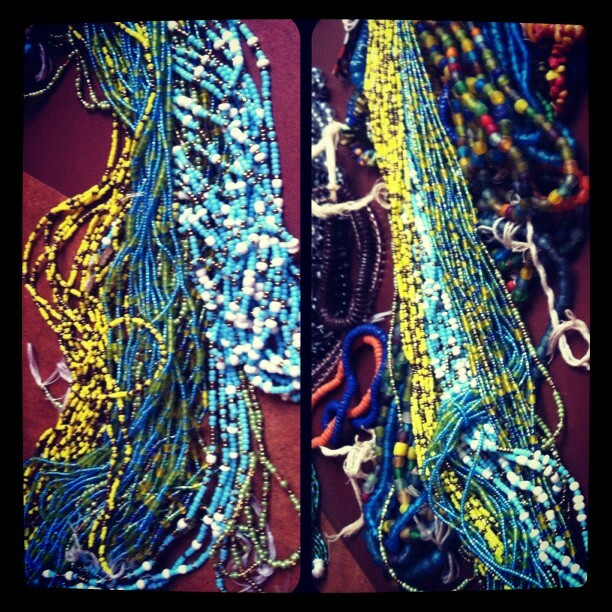 Amy has created booklets aptly titled Bead Making and The Children of Ghana to outline the process and the cause. Aside from Magix and a few other ventures that she has endeavored upon, Amy mostly sells these traditional creations to friends and family. If you would like more information–to access these booklets or to be in contact with Amy because you are interested in viewing or buying from her collection (beads and bags! )–please send a comment below, via Twitter, or Facebook. I will send you all necessary information. Top: Mix of Traditional Transparent, Bridal, and Powdered Beads. Bottom: Handmade Cloth Bags with Zipper in Array of Colors. Strand of Traditional Transparent Glass Beads. 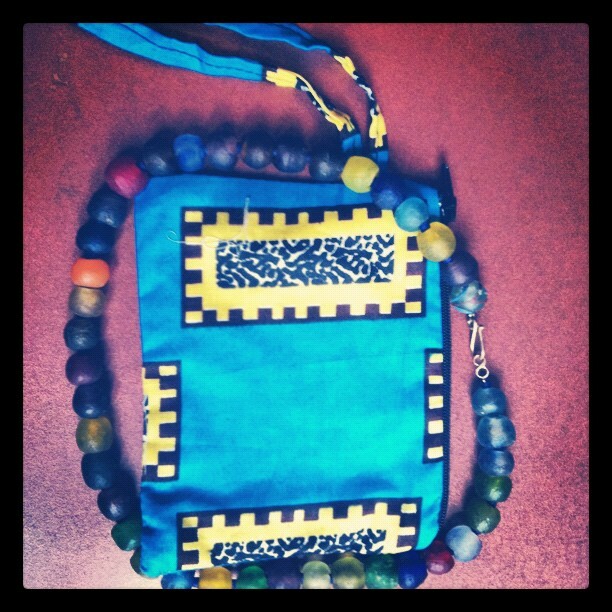 Handmade Cloth Bag in Vibrant Colors. Rows of Bridal Beads, Worn Around Women’s Hips. Great Gift for Bridal Showers!! Shop Local, Think Global: If these beads come from Ghana and the fiscal resources, directed back to Ghana, How is this shopping local? you might ask. Local because you aid a local, grassroots cause, with a Think Global component. When you support this local cause, 100% of your resources support the environmentally friendly industry of a village and the education of deserving children. I look at it this way: Buy the beads at Wal-Mart or Michael’s … Or buy them from a local source. Fashionista’s Guide to Rochester: Victoire. 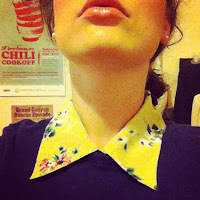 and make fashion recs for what to wear, to boot. 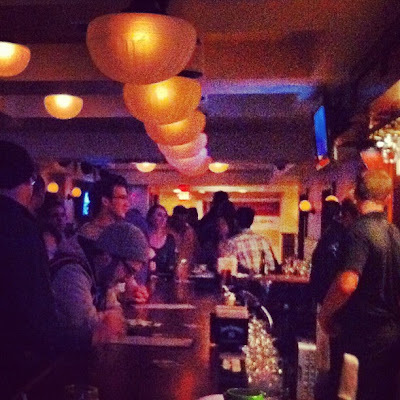 V is for Victoire, the newest addition to Rochester’s burgeoning bar-meets-trendster scene. This Belgian addition to East Avenue nears downtown, in the seat of the Rochester Club Building, and sits directly across from the late-20’s/30-something crowd that populates Temple Bar & Salinger’s. If you’re barely famil. and all you can conjure mirrors plastic mugs, twenty-tweens, & festival gates, erase all images of the East End Fest from your mind. Sept 28. 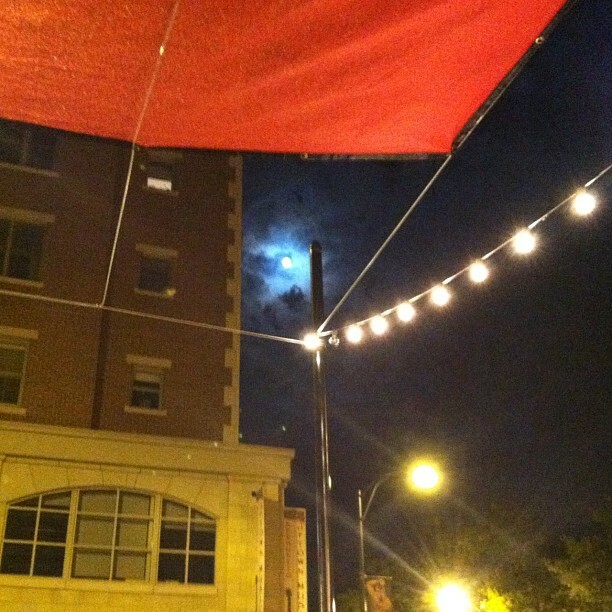 Second Night Outside of Victoire Beer Garden. this bar is as much victory as it is versatility. Lately, I probably haven’t been to the same bar in 3 months, let alone (ever) the same bar 3 times in 1 week. Victoire did it. Not only did I have a great time and even better drinks on all 3 occasions, but additionally, I enjoyed myself in 3 completely different settings each time I went. *Networking Event mid-week in the evening. *Going Away Party/Belated Birthday during dinner crowd on Friday. 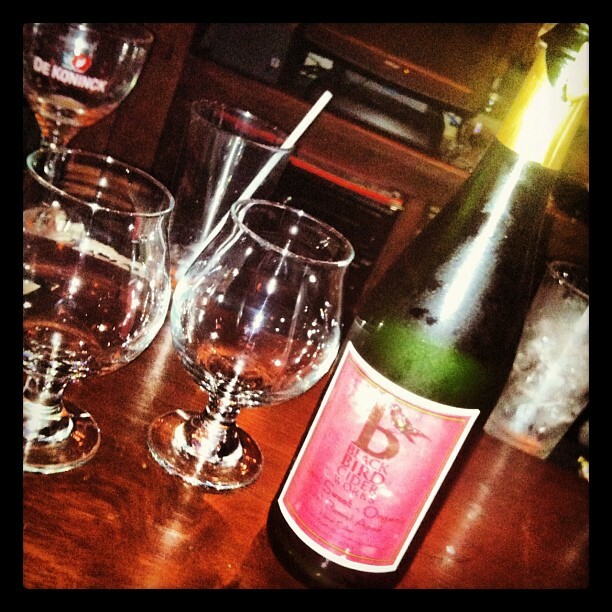 Fav Cider at Victoire … So Far. All completely different and all, equally as enjoyable. Why? How?Victoire’s juxtaposing versatility. Victoire is as much Belgian Beer Garden, as it is hip bar, as it is trendy restaurant. Drinks in the early evening on the garden patio beside sleek hearth where you watch from below, passer-bys who walk the streets above. Casually eating a chic palette served home-style modern on dark wooden tables of the open dining rooms, even while your friends enjoy just their beers. Or perched upon bar, seated tastefully and comfortably in front of clearly displayed Belgian drafts with names written vertically in chalk, to scan the crowd through its ebbs and flows. There is no bad seat, or bad beer, in the Garden that is Victoire. Like contrasts in flavors that add depth to both brew and menu, Victoire’s diversity manifests in the diverse crowds that it draws. Bar is Bumpin’. Dining Areas Surround Bar. Beer Garden…Outside. Hipster. Broster. Trendster. Oldster. Youngster. Midster. You-ster name it.Because of its various settings in its unique East Ave-Meets-Gibbs Street-Meets Downtown locale, Victoire draws in all crowds. The flat-screen TVs, smaller near the bar and larger beside the pool table, and its dinnertime offerings (kitchen closes at 11pm) circulate an interesting crowd that, like gourmet cheese melting onto hot fries, mixes nicely. In a Belgian Beer Garden with so many selections—menu, settings, crowd–it’s hard to stay away. …And to know what to wear. While, truly, you can’t go (horribly) wrong, I’d like to think that in 3 outings, I finally struck Victoire with my 3rd fitting. Sweatshirt Blazer; Dark, Skinny Jean; Saddle Shoe Flat. Leather Jacket; Gray Stretch Skinny; Black Bootie. 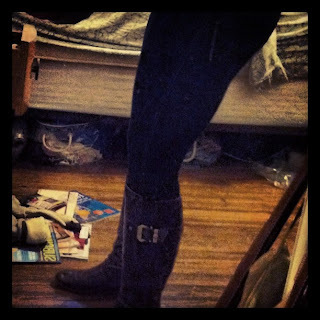 Brown Pashy; Leather Jacket; Black Jegging; Brown Riding Boot. 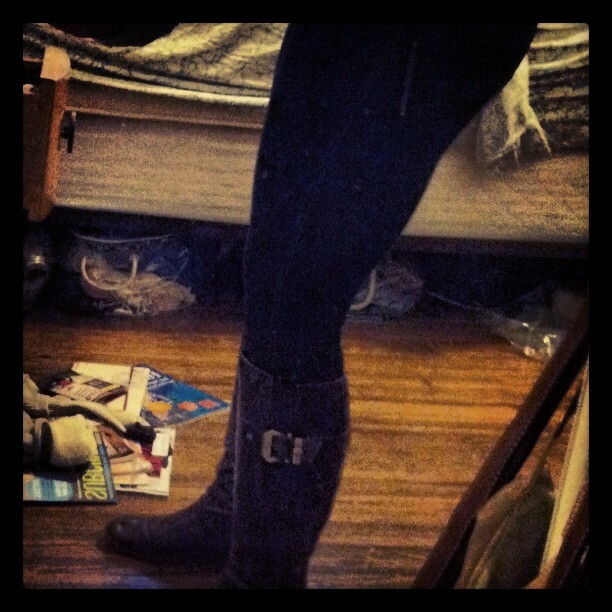 This, my friends, is a Jegging. I can’t so much say why the 3rd outfit worked, as it includes some of my oldest pieces (and therefore those most prone to cliche), as I can explain why the first 2 didn’t. The first, despite being for a mid-week event, bordered on the way-too-cas. Namely because Victoire, while comfortable, always boasts sophistication.Switch out the sweatshirt blazer with a real blazer and/or add heels. Cas becomes Victoire chic in an instant. 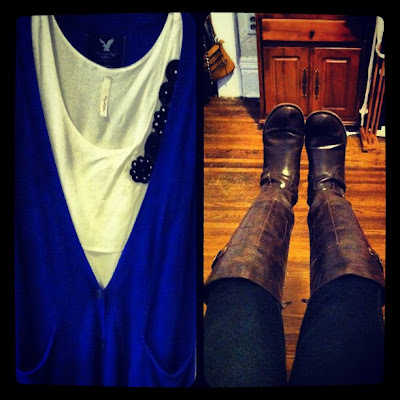 Makings of the Victoire Outfit. Indigo Tunic Cardi. Shell. Black Jegging. Brown Riding Boot. The Art of Blushing Palette. When wearing lighter colors (close to the skin) in the winter, create a warm glow on your face. If porcelain-skinned like me, choose silver flecks in a rose blush. Rose warms. Silver looks natural. If olive skinned, go bronze.